After being overthrown by the Egyptian people, former President Hosni Mubarak is going to be put on trial next week. Along with his sons and other colleagues, he is going to be charged with planning to murder hundreds of Egyptians who protested his decisions as ruler and wanted him to step down. The trial is going to be a public trial. It is going to begin next Wednesday in Cairo, Egypt. The Health Minister of Egypt examined Mubarak and said that the man who once ruled Egypt was in good enough health to go to Cairo. Some worried that his health at the old age of 83 might not be strong enough for him to fairly go through a trial. For the first time in history, a president is going to be put on trial. Mubarak’s situation after leading Egypt for thirty years sends the message that the Arab people are ready to modernize and welcome democracy. Other charges against Mubarak’s men include accusations of illegally taking government funding and intentionally trying to kill nearly one thousand protestors. The trial is going to be held in an area of Cairo with what is being described as maximum security. The location will be Madinet Nasr. The location is the home to the Egyptian Defense Ministry. 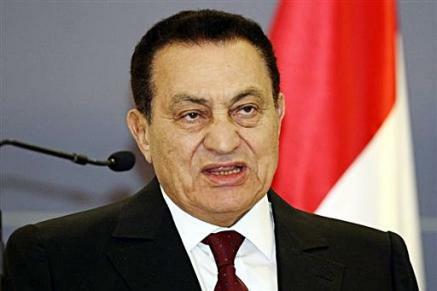 Mubarak’s journey from long time Egyptian President to man on trial is an extreme example of a fall from grace.